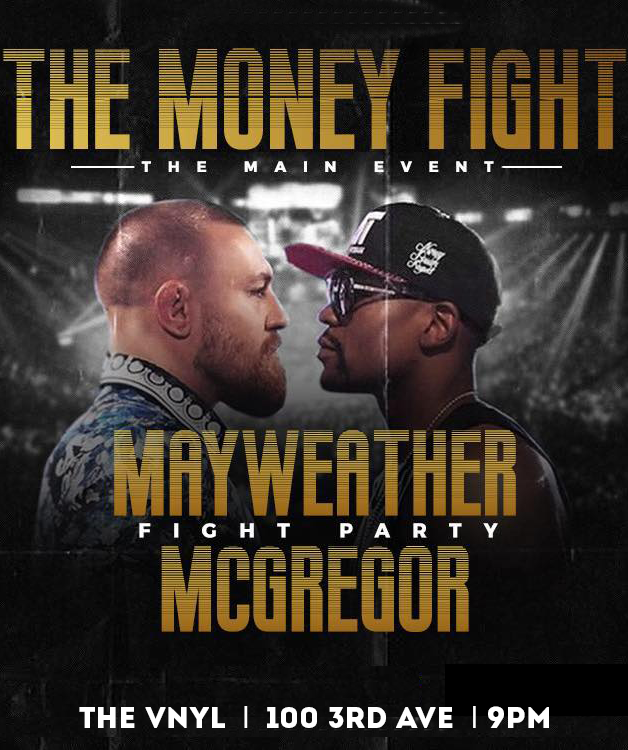 The countdown is on to the most anticipated fight of the summer, as Floyd Mayweather risks his unprecedented 49-0 record to take on UFC champion Connor McGregor. For those who won’t be making the trip to Las Vegas’ T-Mobile Arena, we invite you to join us on Saturday, August 26th at 9PM as we catch all the action at The VNYL. SELECT Members and one guest each will receive complimentary admission with a waived $40 cover.